What’s going on with the NRC? The comp starts in less than two months, and we haven’t heard a thing. The ARU’s newly-minted domestic professional rugby competition, the National Rugby Championship, does indeed kick off on Thursday August 21. And it’s true. There hasn’t been a whole lot of info out there. Reports and questions as to whether the NRC will even go ahead still pop up. In fact, we’ve been discussing this mini-project for several weeks now on The Roar. We have some of the most passionate rugby readers and contributors in the country, and we all want the NRC to succeed. But we also want information. Therefore, it was time to bring whatever information we could find to the surface. General Manager, National Teams and Rugby Operations for the ARU, and former Brumbies CEO Andrew Fagan gave us a great insight into what’s been happening at the competition level in his post last Thursday. Fagan’s post came about an hour after I’d spoken to him and he’d told me much of the same information. Regardless, he’s saved me the need to include that background information; just know that that despite the evident lack of news, a lot is happening behind the scenes and has happened already. A more detailed chat with Andrew Fagan will form part 3 next week, an overall view of the competition to follow-up what the clubs have been doing themselves. News late last week in the Fairfax press that Sydney construction company Buildcorp is poised to become naming rights sponsor for the NRC for the next three years worth mentioning. Sydney and Brisbane club rugby people will know the Buildcorp name from the front of the Sydney University and Uni of Queensland jerseys. I’ve spoken to all nine NRC clubs over the last week or so, and it’s already evident that some teams are more advanced than others are. It’s also evident that some teams believe they can’t say as much as they‘d like to, while others have been quite proactive on the information front. Regardless, we’re going to share what we’ve been able to find out, and it starts today with the five clubs outside NSW. In Part 2 tomorrow, I’ll outline what’s been happening with NSW Country, and the three Sydney-based clubs. Though the clubs will be broken down individually, all the behind the scenes work been done for the Queensland teams has been a coordinated approach from the Queensland Rugby Union, mirroring how they run the Reds. The Reds have taken a very deliberate approach in how they manage their two NRC teams, and how both Brisbane City and Queensland Country fit into their common vision for rugby in Queensland. This will ensure the pathway from the grassroots in Queensland to the Wallabies is clear and obvious. While there was initially some interest from Brisbane clubs in creating NRC entities themselves, a combination of the clubs’ own due diligence and that of the Queensland Rugby Union reached the conclusion there was no great benefit to the clubs individually. It’s the same conclusion Eastwood recently arrived at, in announcing their financial withdrawal from the Greater Sydney Rams franchise. It also ensures there is no possibility of club politics upsetting any NRC apple carts in Queensland. The Queensland Rugby Union, in maintaining control of both sides, can extend their professional programs out further this way, and expose more Brisbane Premier Rugby and Queensland Country players to the same high performance programs utilised by the Reds. The Brisbane City and Queensland Country sides will be formally launched at the conclusion of Super Rugby, and current Reds fans can expect the same level of team-specific info coming out of the Queensland Rugby Union’s Ballymore HQ very soon. Though the NRC sides will have their own social media and online presences, if you’re hooked into the various different Reds’ channels now, you will begin to see a lot of NRC content very soon. Likewise, once the competition is up and running, what you currently see and enjoy from the Reds before, during, and post-game will be precisely what you can expect from whichever Queensland NRC team you support. The message from the Queensland Rugby Union is that while you might not be able to see it currently, there’s a lot happening, and they’re right behind making their two teams as strong and well supported as possible. In the interim, the Queensland Rugby Union have put together a useful Frequently Asked Questions page on the Reds site. This page and the Twitter handle for both sides came live in the last week or so. The Reds also hinted to me that the two Wallabies Tests in Queensland while the NRC was on could present unique opportunities. While they wouldn’t confirm nor deny NRC curtain raisers before said Tests, and while it might not be necessary for the Bledisloe at Suncorp on October 18, it would certainly make a lot of sense to have Queensland Country play a home game before the Test against Argentina on the Gold Coast, on September 13. If it happens, remember where you read it. Coach: Reds forwards coach Nick Stiles. Both Queensland teams will be managed by Queensland Rugby’s General Manager of Rugby Operations, Sam Cordingley, and be based out of the Queensland Rugby Union’s Ballymore headquarters. Home games confirmed: The Reds are tight-lipped at this stage on the draw for both sides, but it was reported last week that Brisbane City will host the Sydney Stars to launch the NRC in the first Fox Sports televised game, on Thursday 21 August, kicking off at 7:30pm AEST. Playing squad announced/expectations: The Reds’ position on how they split the Super Rugby-contracted players is to simply draw on the individual’s background and junior club or schoolboy rugby history, though there may have to be some shuffling of players if either team is short in a particular position. They wouldn’t be drawn into speculating on actual players, but guys like Liam Gill, Chris Feauai-Sautia, Nick Frisby, and even the ‘import’ Reds like the Fainga’as and Lachie Turner could probably be expected in the City squad. Logo and jersey design/colours: Brisbane City will wear a yellow and blue playing strip (note, the jerseys above are indicative only), the traditional colours of Brisbane, with a crest featuring the traditional Brisbane City Hall logo inside the iconic Queensland Rugby ‘Q’ on the chest of the jersey. Major sponsor: Negotiations continue, but the Queensland Rugby Union expect to finalise front-of-jersey sponsors for both sides before the official team launch. Website / Twitter / Facebook / Others: http://www.redsrugby.com.au/NRC.aspx | @BrisCity_NRC | other channels to be launched soon, in line with what currently exists for the Reds. Coach: Reds attack coach Steve Meehan, and managed by Queensland Rugby Union’s GM of Rugby Operations, Sam Cordingley. Other coaching appointments will be announced in the coming weeks for both Queensland sides. Home ground: it is envisaged Queensland Country will play at a variety of regional centres throughout the state. The Reds wouldn’t name the towns and cities involved, but did agree that most corners of the Queensland compass will be covered, so perhaps Townsville or Cairns in the north, Rockhampton centrally, Toowoomba to the west, and perhaps the Sunshine or Gold Coast too. Home games confirmed: To be confirmed, though the Reds could confirm that Fox Sports will not be televising home games in regional centres. Playing squad announced/expectations: Squad composition to be formed as outlined above for Brisbane City. Players like Rod Davies, Greg Holmes, and maybe even NSW country-bred Beau Robinson seem obvious. Rob Simmons, from the tiny central Queensland town of Theodore (pop. 450) looms as a logical Wallabies squad ‘ambassador player’. Logo and jersey design/colours: Queensland Country will wear their traditional blue and white colours as indicated above, with the traditional Orchid logo inside the iconic ‘Q’. Eagle-eyed Roarers might have spotted the maroon, gold, and blue horizontal bar under the logo; I’ve noticed this on the Reds jerseys too, and wondered of the significance but it is – of course – the representative colours of Queensland, Brisbane, and Country. It’s a nice touch to carry this over to the NRC teams too, a continuation of the pathways theme. Major sponsor: Negotiations continue, but the Queensland Rugby Union expect to finalise front-of-jersey sponsors for both side before the official team launch. Website / Twitter / Facebook / Others: http://www.redsrugby.com.au/NRC.aspx | @QldCountry_NRC | other channels to be launched soon, in line with what currently exists for the Reds. Rugby WA and the Western Force organisation will manage and run the Spirit team, as was the case for the ARC in 2007, when they were also able to pull together one of the stronger squads in that competition. The Spirit are one of several NRC teams that can’t say a whole lot as yet – under instruction – and that all details around playing strip, squad members and their draw can’t be revealed until the official NRC launch a few weeks out from the start of the competition. Coach: Still to be confirmed, but highly unlikely to be Western Force head coach Michael Foley. Force assistants Dave Wessels and/or Kevin Foote are seemingly in the frame, though Rugby WA aren’t saying. Home ground: I can confirm it’s highly unlikely that nib Stadium will be used, simply due to the costs involved. The Spirit are instead looking to play at some of the best club grounds in Perth, as a means of providing the best connection to the WA rugby community. Home games confirmed: Rugby WA wouldn’t comment on their draw, though I’ve been able to confirm that Perth play the University of Canberra Vikings in Canberra in Round 1. Playing squad announced/expectations: A good mix of contracted Western Force players (minus any Wallabies squad members) and local talent from the Pindan Premier Grade competition in Perth. My specific question to them about the likely participation of their foreign marquees – Ably Mathewson, Willem Steenkamp, and co. – went unanswered, however the Spirit were very quick to confirm that Jonny Wilkinson has not been approached by Rugby WA! Logo and jersey design/colours: Logo currently in circulation is the same as was used in the 2007 Australian Rugby Championship. 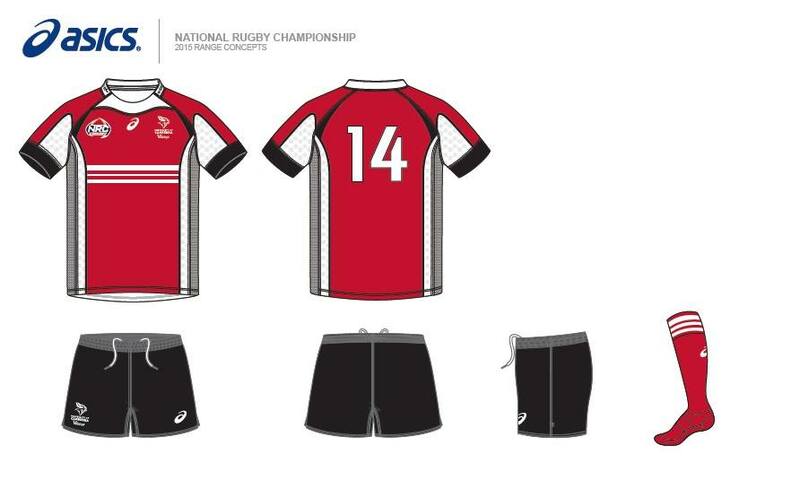 Rugby WA told me the NRC strip “will feature the traditional state colours of black and gold in a modern design for the new competition”. Major sponsor: Still in the process of confirmation, however discussions are well progressed with a number of interested parties. Website / Twitter / Facebook: www.rugbywa.com.au | @PerthSpirit | Facebook page coming soon. The Melbourne Rising represents the pinnacle of community game in Victoria and the road to the Rebels. While the Rebels are obviously the big ticket item as far as professional rugby in Melbourne goes, the Rising is the final piece in the puzzle linking the grassroots of the game in Victoria to the professional ranks and beyond. Now, a young Victorian player can pursue a Wallaby dream without ever having to leave the state, a massive opportunity never previously available. With that in mind, Melbourne Rising will burst to life on July 18, in conjunction with and as a celebration of the conclusion of the 2014 Dewar Shield competition. The Rising will launch www.melbournerising.com.au on this date, and they’re already up on running on Facebook, Twitter, and Instagram. The Rising will launch officially on July 25, where the playing strip, captain, and playing squad will be announced. Coach: Sean Hedger, current Rebels assistant. Hedger Will be supported by fellow Rebels assistant coach, and former Wallaby, Matt Cockbain, as well as Harlequin head coach Craig McGrath. Training base will be Harlequin Rugby Club, Ashgrove. Home games confirmed: The Rising tell me their draw is still to be finalised, but they would say they have one home game confirmed as a Fox Sports televised game. The North Harbour Rays, however, have announced that they will start their NRC campaign in Melbourne against the Rising on Friday August 22. The Rising organisation is also working on their own plan where all other home games could be live streamed online. Playing squad announced/expectations: Super Rugby-contracted players, plus local Victorian players. With only a few Rebels players likely to feature in the Wallabies squad and only a small number of Rebels likely to play for opposing NRC teams in Sydney and Brisbane, the Rising are confident of a strong squad. It will feature 16 contracted Rebels, with the remaining 17 spots to come from the cream of the Dewar Shield, with names like former Wallaby and Rebel Lloyd Johannson already mentioned, as well as 2013 Australian Schoolboy and Samoa U20 prop Fereti Sa’aga. Melbourne Rising will play in a predominantly pink jersey, with electric blue trim and highlights. Major sponsor: RaboDirect. Other Jersey sponsors in final stages of negotiations currently. A controversial partnership when first announced, but the commercial reality is that without the significant input from the powerful Vikings Group of licensed clubs, neither the Brumbies nor Uni of Canberra would’ve been able to afford the required level of investment on their own. Moreover, with no input from the Brumbies or UC, the side would simply have been known as the Tuggeranong Vikings. Regardless, with a strong complement of non-Wallaby Brumbies likely to kit up, the Vikings will be able to put together a decent squad, as was the case in the ARC in 2007. The Vikings have only TV game confirmed at this stage, against the Greater Sydney Rams at Parramatta Stadium on August 28. A separate UC Vikings website will be launched soon, while the Facebook page has been in operation for some time now, and was where the playing strip first popped up. Fans can expect a good level of social media engagement, including live tweets on match days. 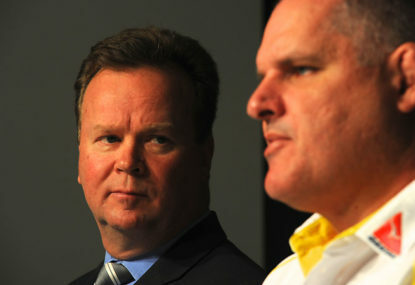 Coach: Dan McKellar, current Brumbies defence coach, who will be supported by Wests Head Coach, Craig Robberds. Home ground: Viking Park, Erindale. Brumbies Rugby confirmed that Fox Sports will not be broadcasting any Vikings home games. Home games confirmed: Draw and dates are still to be confirmed, though the Vikings will host Perth Spirit in Canberra in the first round. The Brumbies/Vikings also understand they have home games slotted in against Queensland Country (Round 3), North Harbour Rays (Round 7), and NSW Country (Round 8). Playing squad announced/expectations: Brumbies-contracted players, largely, with all remaining places in the squad will be filled by players from ACT club rugby. It is possible that some Brumbies will turn out for other NRC sides (Depending on Wallabies selections and injuries), with requests received from players with links to NSW Country, Queensland Country, Greater Sydney Rams, and North Harbour Rays. Logo and jersey design/colours: Logo is essentially the same as the ARC Canberra Vikings side, save for the addition of “University of”, and even the jersey is very similar to what was worn back in 2007. While no other NRC strips have been released publically, the Vikings quite happily released theirs back in April. Major sponsor: Front-of-jersey sponsor still to be confirmed, though it can be confirmed that it will not be University of Canberra as per the Brumbies’ jersey. Website / Twitter / Facebook: http://www.brumbies.com.au | Twitter coming soon | ‘UniVikings’ on Facebook. Part 2 tomorrow: NSW Country, Greater Sydney Rams, North Harbour Rays, and Sydney Stars. Plus we reveal the NRC opening round fixture!